Hamilton Bulls visited Musselburgh for the second time in six weeks but put up a really good show against the team which beat them 36 – 7 on their previous visit, losing by 24 -12. This was despite the fact that many regular first XV players were missing including pack leader Taz McLauchlan and captain Mark Wallace. The inexperienced team took the game to Musselburgh from the off and pressed the opposition , with great line speed for fully 10 minutes, McLeish and Crush, the Hamilton halfbacks directing operations behind an eager pack, who settled well. However Musselburgh soaked up the early pressure and against the run of play took the game into the Hamilton half and using their typical forward maul play engineered a converted score for Pride. Bulls looked to hit back and 2 minutes later, debutant winger Sinclair got on the end of a nice handling move across the backs to dot down for an unconverted try in the corner. Hamilton continued their expansive style of play despite the atrocious weather conditions, causing real problems for the home team. With the ever increasing difficulty of handling in the conditions play became more fragmented but Hamilton continues to press and it was only Musselburgh’s vigorous defence which held them at bay. Hamilton’s front row of Leggate, McQueen and Richardson were all prominent in the loose as well as holding their own in the set pieces. Their back row of Craig, White and Alexander also made life uncomfortable for ‘Burgh. Neither was able to cross the line at this stage, but Musselburgh extended their lead with a penalty goal by McGhie. As half time approached the Musselburgh forwards got their maul going again and finally breached the Hamilton defence for a try by Ferguson to give them a half time lead of 17 – 5. As the second half started the conditions worsened, but the visitors continued to take the game to ‘Burgh, as centres Decelle and Whitelaw attempted to feed their wingers at every opportunity as their pack fronted up well against the ‘Burgh pack. Musselburgh’s third try in 50 minutes was an individual piece of brilliance by McGhie who broke clear trhough flailing defenders to run the length of the park for a converted try. 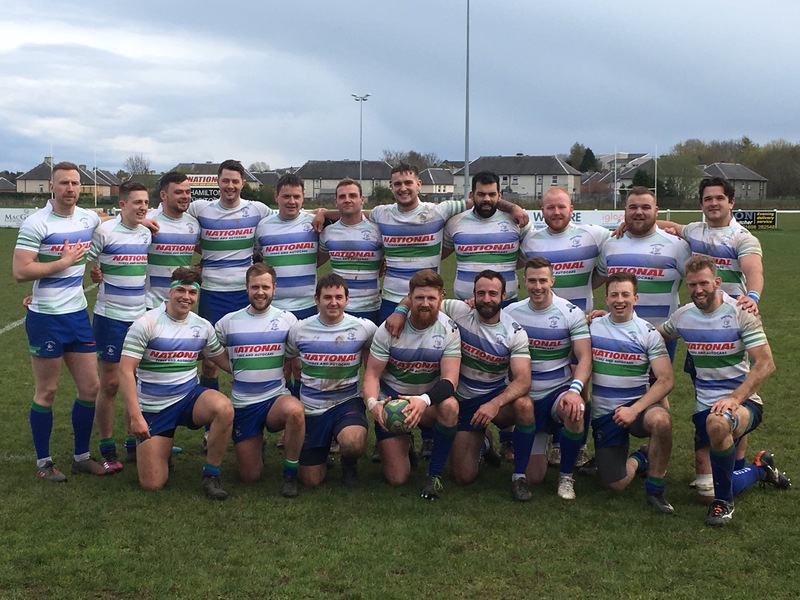 Bulls continued to take the game to Musselburgh and eventually scored a richly deserved try by flanker Josh White, before centre Decelle converted for a final score of MUSSELBURGH 24 HAMILTON 12.